Transfer Cars / Carts are used to move raw material, equipment and finished products across the production area and between bays in manufacturing and assembly facilities. 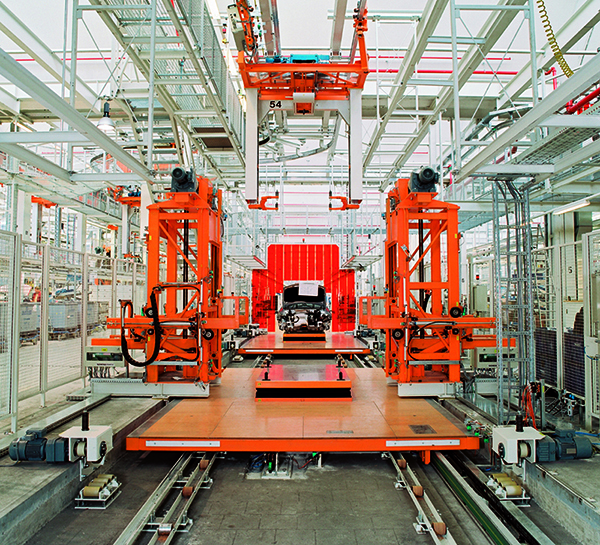 Non-steerable cars are mounted on a rail and used to move material between bays while steerable cars have wheels and can be moved anywhere in the facility. These cars are used in any setting that needs to move heavy items from place to place. VAHLE offers dependable solutions for your transfer cars including conductor bar systems, CPS, a contactless power system, cable reels and charging contacts. We offer over 100 years of knowledge and expertise to ensure your process cars are up and running when needed.